Shop our gorgeous Spring scents and new products like our Wick Trimmers and Mini Candle Tins. Luxey Maison is a luxe home fragrance brand inspired by a love of layered interiors and beautiful memorable scents. We’ve traveled the globe and learned from master perfumers to bring you small batch candles and diffusers handcrafted in California. Inspired by our world travels, every Luxey Maison custom fragrance has a rich story and beckons you to make it your own. We believe beautiful scent is transformative and inspirational. Our signature scented soy wax candles are a luxurious way to unwind and express your unique self. Our reed diffusers are a flame-less alternative to enjoy our custom scents around the home or office and complement our soy candles. 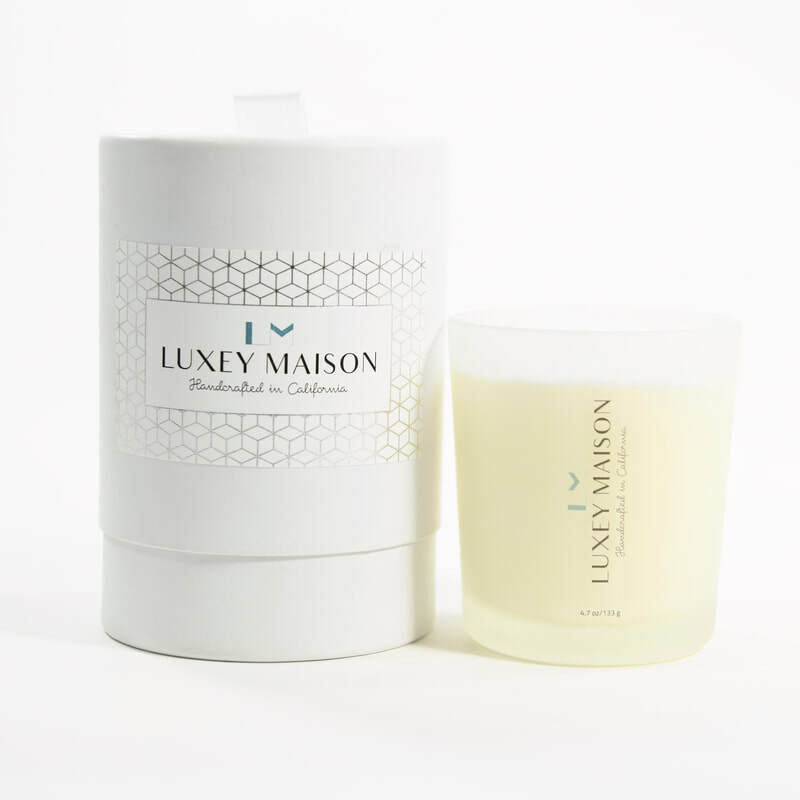 Luxey Maison candles are hand poured using only the finest ingredients. The result is a beautifully fragrant, cleaner and longer burning candle than those made from paraffin wax. We use only pure soy wax in our candles and not a blend because of its superior qualities and benefits. Soy wax is a renewable, sustainable resource and not petroleum based. It diffuses scent naturally and is vegan, non-toxic and biodegradable. We want you to breathe in and enjoy luxurious scents not toxic fumes. We also love that our soy wax is made in the USA which supports American farmers. Our scented oil reed diffusers are eco-friendly and crafted to deliver a premium fragrance experience. Each diffuser is blended to order and packaged in a beautiful recycled glass vessel hand blown in Spain. They're an elegant addition to your home and office decor. Our diffusers are specially formulated to let the fragrance truly shine without the use of harmful, toxic chemicals. Customers rave about our diffusers and their long lasting scents. Enter your home and enjoy our custom scents to relax you after a hectic day. Choose a different Luxey Maison scent to personalize each room in your home. from our signature frosted glass vessel.